Drones, texture and atmosphere all set the tone on Between Interval’s entrancing debut of blissfully serene downtempo soundscapes. Hear where it all started for one of the most respected ambient electronic artists of the past decade. Radio Silence was originally self-released by the artist on black CD-R in a very limited edition which quickly sold out. This edition, remastered by Howard Givens, is now available from Spotted Peccary and sounds better than ever! This Spotted Peccary release is a reissue of a small indie CD from a couple years back by Stefan Jönsson. ‘From a Silent Surface’ starts with slow, pounding beats, contrasted with soft background static. Sounds are added one at a time, a synth here, a bubbly loop there, and then a steady backbeat takes over. It is very catchy, and quite different from the dark ambient sound of Secret Observatory, although Jönsson’s ability to make more concise tunes was evident on Autumn Continent. This is more like thinking man’s ambient dub or trance. We segue smoothly into ‘Wishful Thinking’, the static and spoken word bits reminding me a lot of Spyra. An almost operatic female vocal sample appears intermittently. A vaguely koto-like stringed instrument pulses its way slowly along, lending a faraway pensive feeling. Like its predecessor, it turns toward modern electronica and beats near the end. The atmospheric talky bits return and then stay for the duration in ‘Overheard,’ a stripped down piece devoid of rhythm or melody that plays more like esoteric soundtrack music, as does the title track that follows. These sound more like the current Between Interval sound, perhaps a bit more abstract and dark. ‘Aerolith’ and ‘The Dark Light’ continue in minimal mellow mode, with a smoother softer edge to them, although a slow steady rhythm appears in the latter, along with some cool synths that do add a dash of melody. ‘Katakomb’ features a hypnotic bass pulse, repeating simple synth phrasing, and a panning beat that is somehow equal parts modern and primitive. The rest of the disc continues to explore various phases of ambient, some with beats some without, some with melody some without, all in interesting and listenable ways. Thumbs up. On Radio Silence (73'55’), Between Interval realizes music that inhabits two worlds - one of drones, texture and atmosphere, the other running along a digital plane of entrancing electronica. The contour of this album gently changes according to the energy of each track. Dynamic and focused pieces eventually fall away into interludes full of breathing pads, squelchy voices and the dreary sound of rain falling on sidewalk. In an unpredictable manner, shifting currents of dark sounds yield to mysterious beats, skipping rhythms and metallic melodies. This work moves up and down and side to side in a seeping flow of somber tones from moaning synthesizers. There is not much air in the 12 tracks, which leads to the overall mood of abandon. Radio Silence is a dream with its own soundtrack - a fantasy of a bleak time yet to come. 2008 has been a hard rocking year for me. I've been listening to a lot of heavy metal, progressive metal, power metal, hard rock and instrumental rock. Don't get me wrong I love that kind of music but I haven't eased up much. Radio Silence definitely is something that took me away from the loud, bashing riffs and pounding drums. It's so far removed from my metal/rock music that I appreciate this kind of release even more. Between Interval (Stefan JÖnsson) creates a wide open musical canvas with room for his composition to breathe. Most of the music is subtle, yet composed to get an emotional reaction from his listening audience and this music definitely has mood. While listening to this, one track eases into another as the CD plays with fluidity thru its entire running time. ‘From a Silent Surface’ has a cool almost hip-hop percussive groove. ‘The Dark Light’ really got me going to it's dark undercurrent and percussive edge. The echoed keyboard lines of ‘Open Frequency’ sent waves of audio sparkling through my ears. In the linear notes, Stefan JÖnsson says this album was originally released on a very limited basis back in 2004. We should all be thankful that Spotted Peccary has made it available for all the world to listen to Radio Silence. Ambient electronic chill. Radio Silence presents a series of tracks that alternate between blissfully serene downtempo and cloudy techno ambience. There are some very beautiful melodic tracks where soft beats and moody peripherals hang in the background supporting the attractive lead lines on lush shifting beds of sound. For a number of the pieces, there are minimal percussives or even no beats and the harmonic content is quite subtle - bleak almost, atonal drones and indistinct shufflings thick with reverberation work against static flickerings or degraded environmental recordings and voices. This album comes in an attractive package of hazy grey-green. Distant hills and huge dishes pointed unblinking at the sky can be made out deep within the streaked atmosphere. Beams of light and specks that could be stars or dust motes stud the smoothness of the expanse. A timed track list is on the rear of the jewelcase alongside crucial logos and contact details. Inside - the booklet holds the legend ‘A place where no one finds me; a place where I find no one.’ Opening out, the sleeve presents some brief credits and thanks. 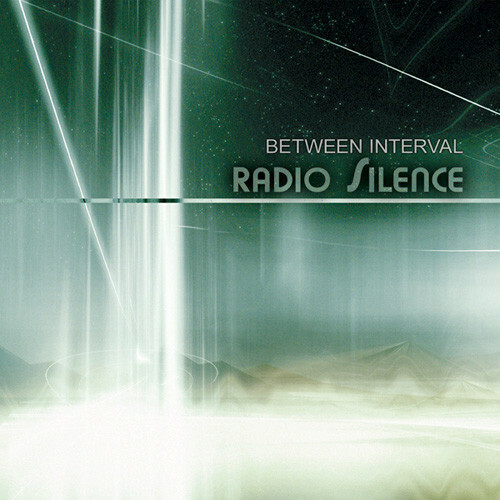 Radio Silence was originally composed by Stefan Jönsson during 2003 - 2004 and has now been remastered with Spotted Peccary Music re-releasing the result. The original limited edition appeared on black CD-R and sold out completely. Two albums have followed since Radio Silence - Secret Observatory and Autumn Continent, these too via Spotted Peccary. If anything, this earlier creation is more readily accessible and more clearly structured that the successors. The album has been described as ‘a dystopic vision of a future where technology has failed,’ indicating the sense of decaying civilization and residual sound echoes. The track Wishful Thinking was picked up by Ultimae records and appeared on the ambient chill compilation Albedo.